Usalka's pregnancy is confirmed! For info on our borzoi X-litter, see planned litters. 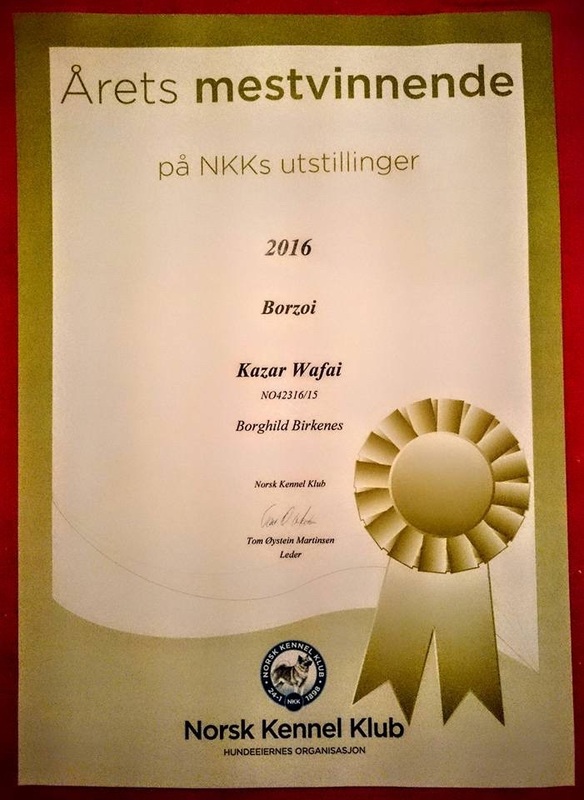 Kazar Wafai was mostwinning borzoi this year at the Norwegian Kennel Club shows! Owner: Borghild Birkenes. Ch Kazar Usalka is today mated to CH Anniehood's Incredible Carrier Frodo and we are hopIng for some lovely puppies in the end of January! 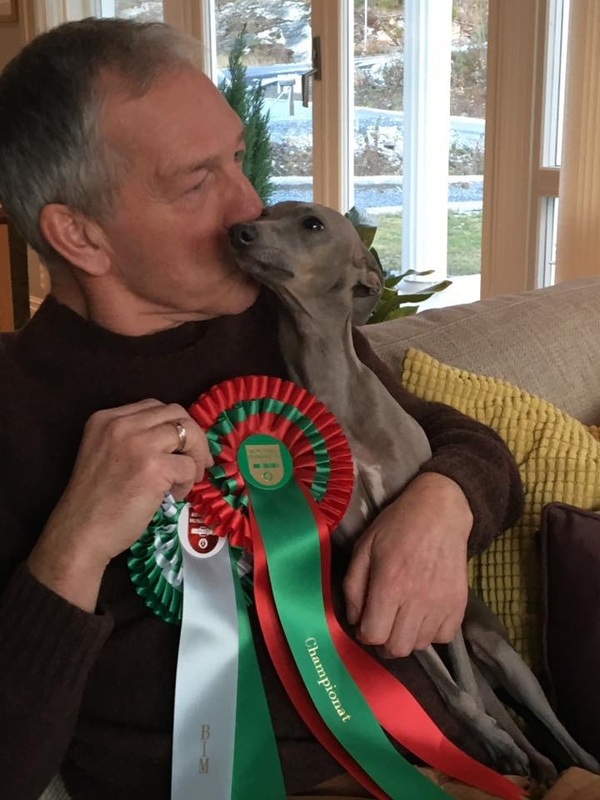 At the IKC Kazar Utkin became today INTERNATIONAL CHAMPION, BOB and placed Group 3 under judge Paul Stanton! 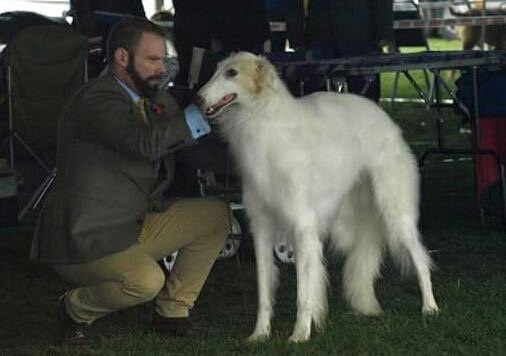 Borzoi; Multi CH Kazar Ural: Best of Breed. Today we couldn't stay for the finals. 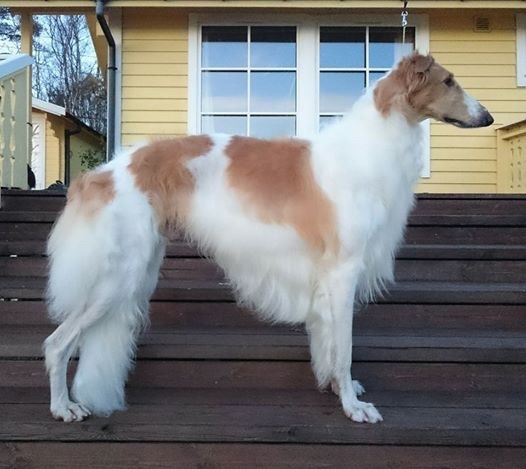 Italien greyhound: Dogcastle's Aurora: CAC, new Norwegian Champion, Best Opposite S.
On November 5, 2016 Kazar recieved The Norwegian Kennel Club's Breeder's Award for the work with our lovely breed Borzoi through almost 40 years. This is a great honour, not many granted! 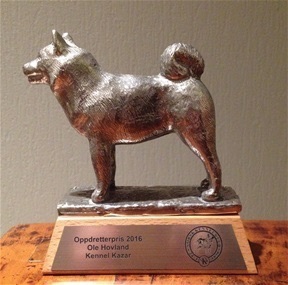 The Swedish Kennel Club, Sunsvall; Kazar Wahid won Best male-2 and Reserve CACIB which will be a CACIB. 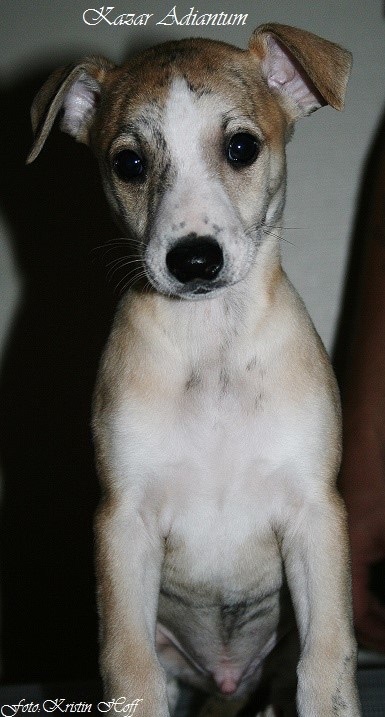 Judge was Sighthound specialist Ms Jocelyn Gagne, Canada. Kazar Wafai BOB at BSBK national show in Bergen. 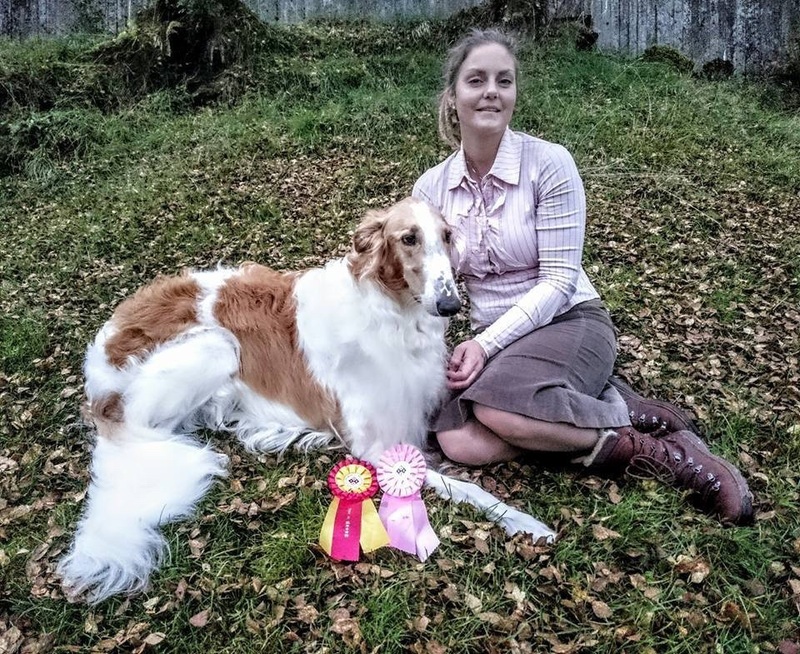 Kazar Wahid Best male-2 and BOS junior at Borzoi-Ringen unofficial show in Sweden under Christina Sjøqvist Persson. 46 entries.